I had the opportunity to read The Survival Savvy Family by Julie Sczerbinski. Julie is the creator of the blog, Home Ready Home.com which helps average families become more knowledgeable about survival and self-reliance. The book covers the various aspects of preparedness, such as creating a family emergency plan, getting ready for natural disasters, financial readiness, first aid, fire safety and much more. I like that the author also goes a step further by discussing issues that concern many families such as cyber-bullying, keeping kids safe from online predators, dealing with emergencies during vacations etc. 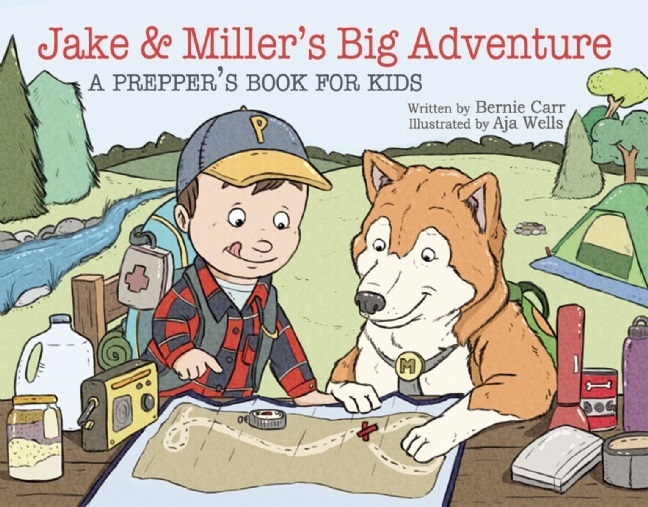 In short, the book covers topics that are not normally discussed in a typical survival book, but can help families avoid everyday disasters. 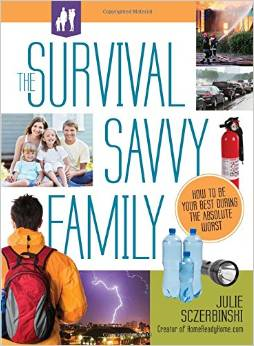 The Survival Savvy Family is an ideal book for a Dad or Mom who wants to become more prepared for disasters, whether large or small. It will get you started in an organized fashion, offering lots of checklists and quick tips. The book is practical, and detail-oriented. It conveys its message about the need to be prepared without being overwhelming, and without spreading any doomsday apocalypse fears. You will like reading The Survival Savvy Family: it is written in a conversational tone, has an attractive cover and is well organized. Families with children would greatly benefit from this book. This book would also make a great gift for Mother’s Day! Now for the giveaway… One lucky winner will be chosen via Rafflecopter to win a copy of The Survival Savvy Family. We’ve made it as easy as possible to enter, with lots of opportunities to win! Because I am now on oxygen 24/7 my biggest concern is how to get oxygen with no power to my home unit. I’m saving for a solar generator and hopefully will have one soon. Food preparations are my biggest concern. I planted a large vegetable garden this year but need to figure out storage. Sounds like a great book. Will definitely check it out whether I win or not. I am most worried about having adequate stores of water. I’m worried about not having the right preparedness items and that there won’t be enough time to obtain what we still need. I am glad you reviewed this book. I am very concerned with the future of America and my family’s survival. I would enjoy reading this book. Most worried about our medications. I’m concerned about making sure all of us are prepared. I’m concerned about gun safety in my home. As in should make my own reloads, or buy the ammo from the store? What is the safest round? Accessing water from our well when the power goes out.